Natural Bridges was our first stop in Utah. This monument is kind of in the middle of nowhere. Its in the southeast part of the state, west of Blanding, Utah. Driving up from Page, AZ we passed through a few smalls towns that looked like they were almost abandoned. The landscape changed from giant red rock formations to more mountainous snowy canyons. We also found one of the craziest roads we have ever driven on. 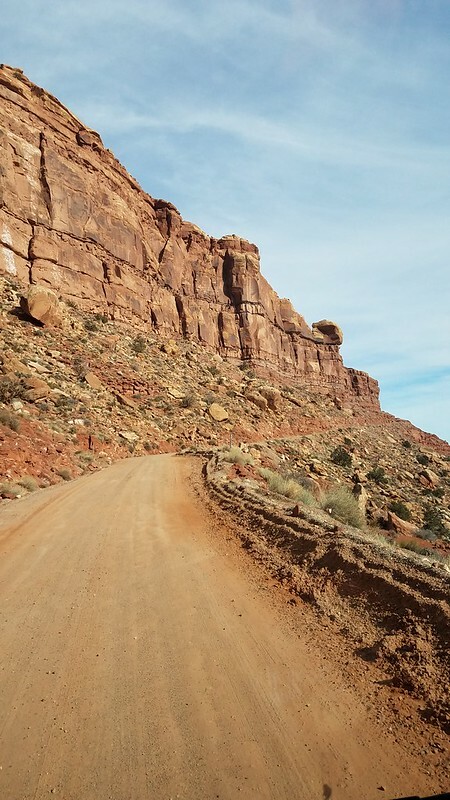 It looked as if the road just disappeared into the canyon wall, but no it went up up up. The curves on this road were no joke. 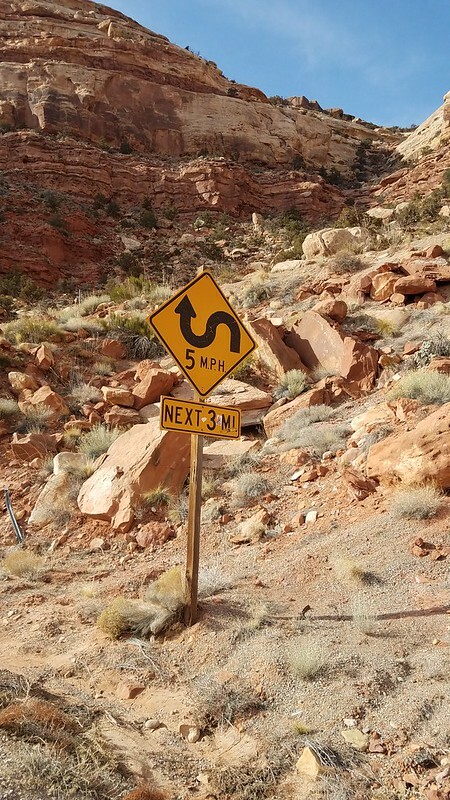 It had a 5mph speed limit and just snaked right up the canyon. We later found out it was called the Utah Dug-way. It literally switchbacks up a very tall and vertical mountain. You cannot see the road around the next bend or anywhere for that matter. We expected washouts and horrible road conditions since it was dirt, but you could tell they maintain the road very well and often. When we stopped in the visitor center at Natural Bridges and found out that camping was free this time of year, score! It was also null of people. 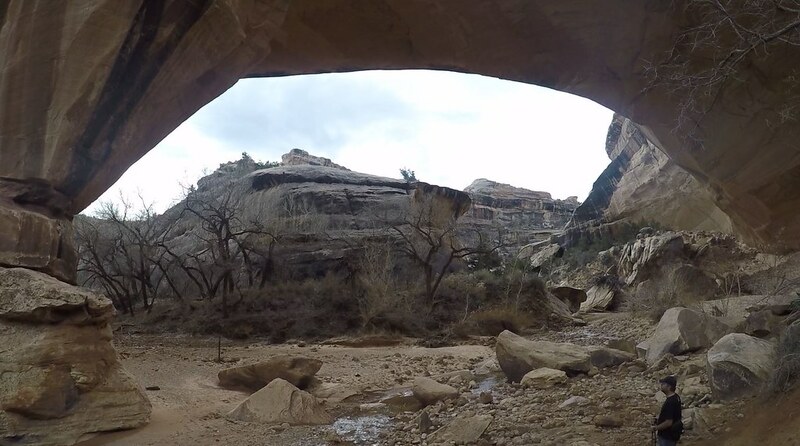 The ranger gave us a little info about the three bridges and said she didn’t suggest doing the hike to Sipapu bridge because it might be a little icy. Of course, we did that hike. 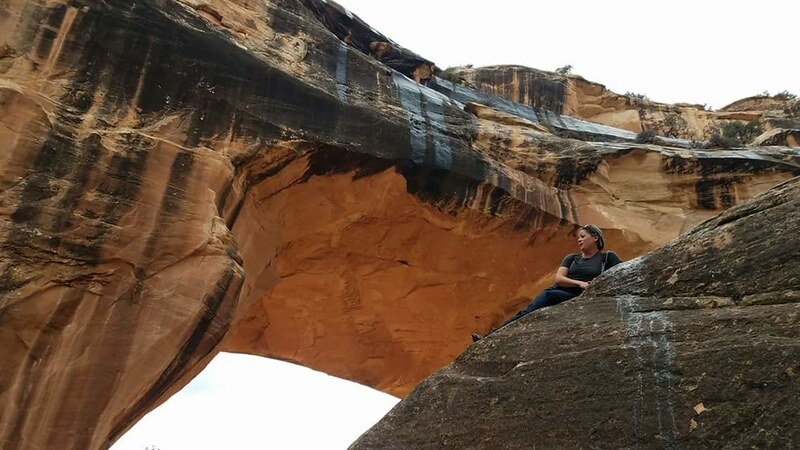 Natural Bridges are caused from stream/river erosion whereas Arches are made from other types of erosion, there are not many Natural Bridges and this park had some of the biggest in the country. We ended up doing the hike from Sipapu to Kachina bridge. It was about a 5.5-mile loop. 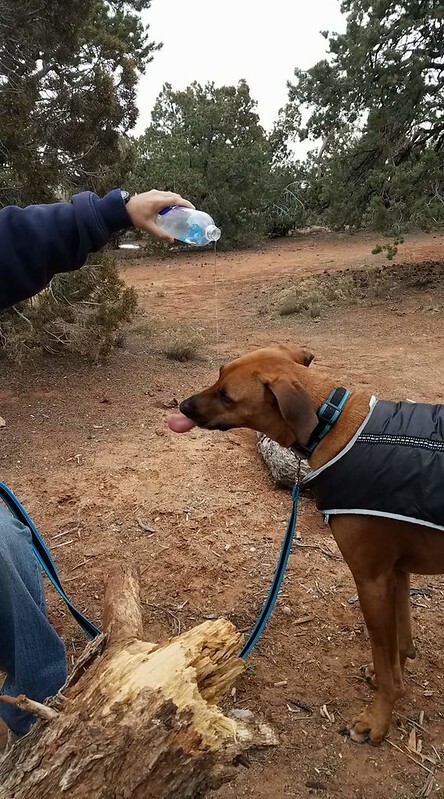 Even though dogs aren’t allowed (stupid national monuments) we decided that due to the lack of people we would go ahead and take Xander on the hike with us, so we thought. We get about a quarter mile in and come across a ladder made from tree branches to get down into the canyon. 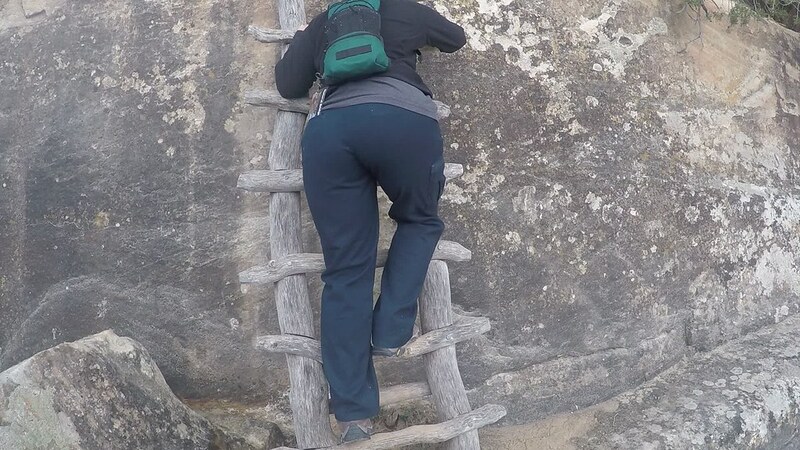 Sarah was very scared of these sketchy natural ladders, it was very funny to watch her climb down these. We ended up coming across many more of these. After finding the ladder I ran Xander back to the van where he had to wait for us. The hike took you down into the canyon pretty fast, unfortunately it come up just as quick. The first bridge was amazing. Of course, as with most of these natural wonders, pictures do not do it justice. We reach the first bridge in the beginning of the hike. This thing was huge and towered way over us. We paused for a few and took in the amazement of its size before moving on down the trail. After that it seemed like forever before we reached the second one. We walked along a stream for most of the hike. We came across an area that used to have more water/mud in it. People put their muddy hand prints on the rock wall. It was a funny thing to stumble upon. At one point in the hike we reached an area of the canyon floor that doesn’t get much sunlight. There was decent amount of snow. 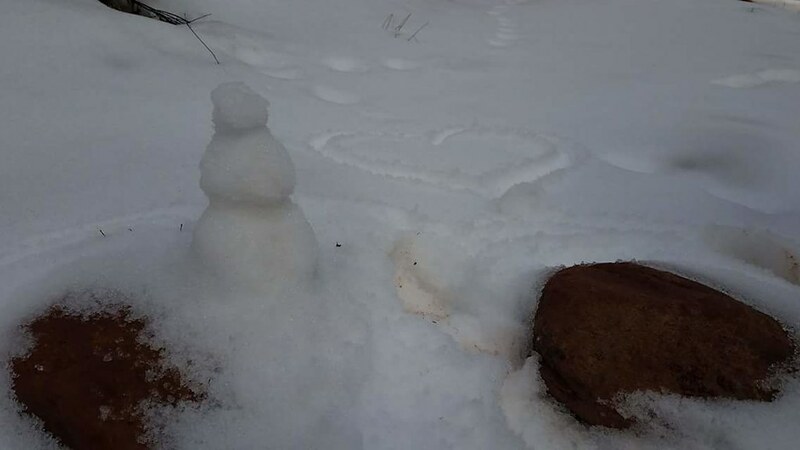 I built a tiny snowman and James made a snow angel. After that we saw an old cliff dwelling. James wanted to take a detour from the hike and go up on the cliff face to check it out but I said no because we had Xander waiting in the van. 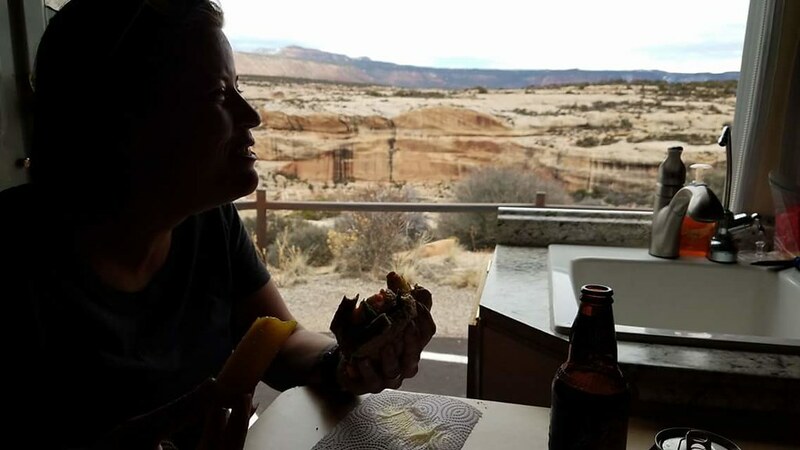 I later regretted that because, when we stopped at the overlook on the road you could see that there were about four more dwellings that we couldn’t see from the canyon floor. We played Marco Polo for a short while on the hike when I took the high road and James took the low road. Shortly after we met back up we found Kachina Bridge. I was humongous! It was almost too big to get in a picture. We headed up out of the canyon after that. Once we got out of the canyon we decided to walk the road back to the van, instead of the trail. We were tired and just wanted an easy walk. I’m glad we did because James’ knee was really hurting him when we finally stopped. Xander was not happy about having to stay behind in the van. I don’t blame him though. We stayed at the campsite for two nights and had a fire on the second night. I miss camp fires. There is something so peaceful about watching a fire burn. I’m really glad we decided to give this monument a try. It was a beautiful and peaceful place.